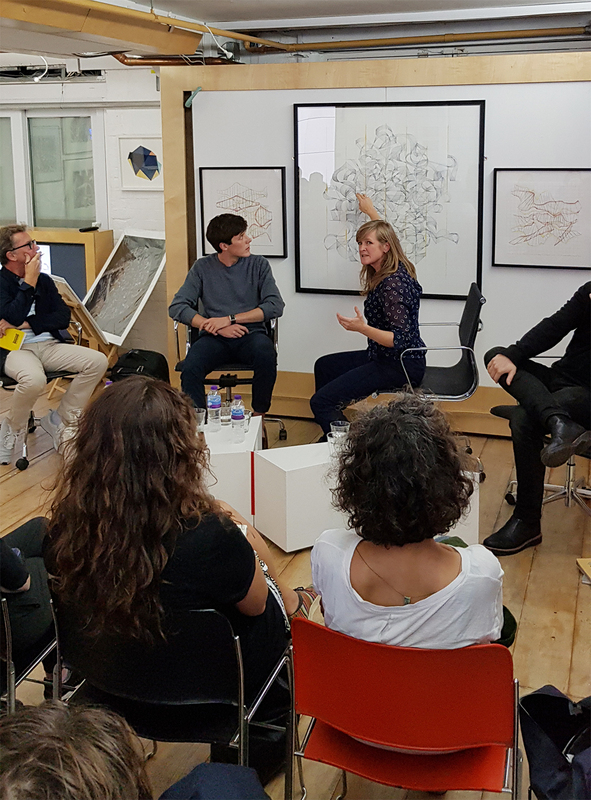 To mark the last day of Process Process Process we were joined in the gallery by four of the exhibiting artists; Ben Johnson, Esther Rolinson, Tom Radclyffe and Jack Latham for the Process Appreciation Society Talk. The exhibition was unique in terms of it bringing together six artists that we have worked with and admired for many years and to then welcome them to the gallery to share insights into their own meticulous, detailed processes seemed like the perfect end to a beautiful exhibition. 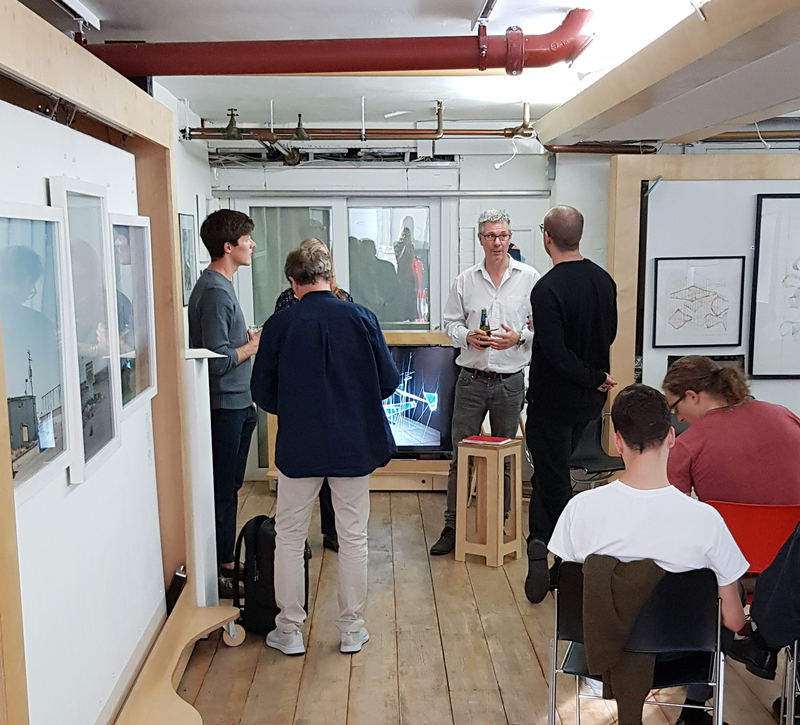 With a full gallery, the conversation was led by Joe Robson, Director of AVR London and Anise Gallery. 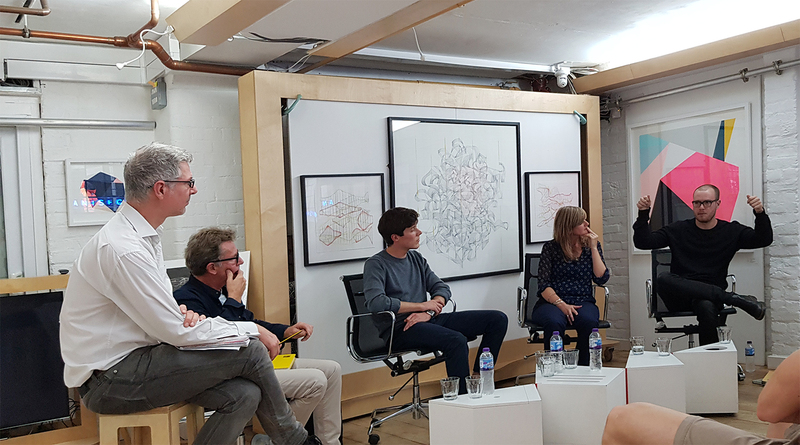 Jack Latham kicked off the discussion, explaining the finer details of large format plate photography, Esther spoke about the patterns within her work, the algorithms that dictate the outcome – ‘a straight, a line, a curve’. The conversation flowed with Ben and Tom finding a commonality in their approach to drawing despite Ben’s being accurate representations of geometry and architecture, and Tom’s being driven by an organic flow across the page. As we all listened on with fascination, it was Joe who, in two words, picked out what unified the exhibition and works within it. Rules and Physicality. A big thank you to the panel and those that joined us for the afternoon.